Born and raised in Richmond, Va., my music is mostly considered rap because of the vocal delivery, but a close listen can help one identify diverse sources of inspiration. Some ot these sources include Mos Def, Lauryn Hill, Public Enemy, KRS-ONE, Common,Dead Prez, The Isley Brothers, Prince, Marvin Gaye, The O'Jays,Earth, Wind and Fire and countless others. Ha Ha, thanks for the support and thanks for being a fan of my lead guitar playing! A girl can shred too! Thanks again my friend! thanks for the add. keep making your original music and NEVER stop. 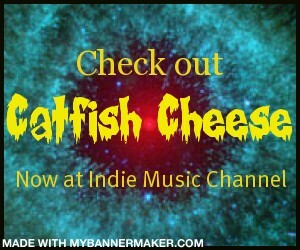 Thank you for your friendship here on the Indie Music Channel!!!!! Love Your Sound!!! Off The Chain!!!! Keep up the Great Work Afi!!!!!! Yo, nice music, everythings on point, msg well heard. Keep banging, A fan all day. Love the Positivity of your music and msg. What we gon' do, we gon' dig your music!